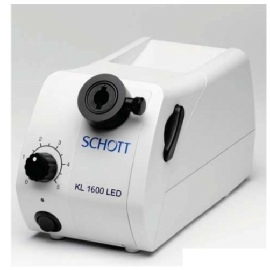 KL1500HAL cold light source comes with the full 150 Watt halogen spectrum – offering you the best performance when it comes to colour critical measurements. KL500HAL is able to generate powerful 600 Lumen. The brightness is improved compared to its forerunner by 70% and therefore optimised as a standard illumination system for the requirements of all stereo microscopes. An optimised heat management is assured by an extremely silent fan. Emitting neutral white light (approx. 5,600 K) the KL1600LED is DC driven. The ripple free illumination is ideal for digital imaging applications. An additional benefit is that the colour temperature does not change even is dimmed. 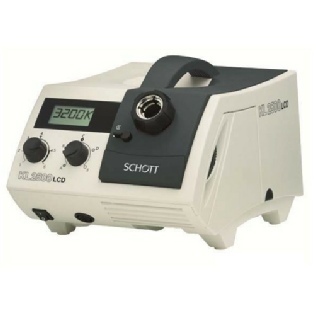 The KL2500LED is the performance leader in cold light sources from SCHOTT with a LED light engine. 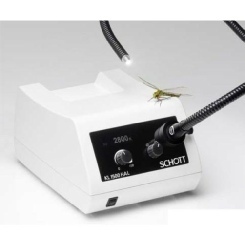 Due to its high light output and special features it complies with all advanced requirements in life science and industrial applications of Stereo Microscopy and Macroscopy. Brightness is equivalent of 250W halogen cold light source.